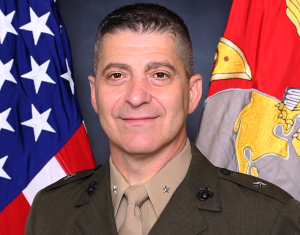 The Ammo Tech Awards Reception is held in coordination with the Program Manager, Ammunition (PM AMMO) from Marine Corps Systems Command to honor a small but vital occupational community – that of Marine Ammunition Technicians. The highlight of the reception is the presentation of 4 ammo tech awards to Marine enlisted, NCO, SNCO and Officer leaders who made the most substantial contributions to the community during the previous year. The reception usually includes around 200 attendees. USAA; Rheinmetall; General Dynamics; Lockheed Martin; Nammo; Northrop Grumman; SAIC; Innovative Reasoning; Northrop Grumman Innovation Systems; L3 Defense Electronic Systems; General Dynamics Ordinance and Tactical Systems; Chemring Ordnance; Medico Industries; RE/MAX Howard Schaeffer & Associates; and Presto.